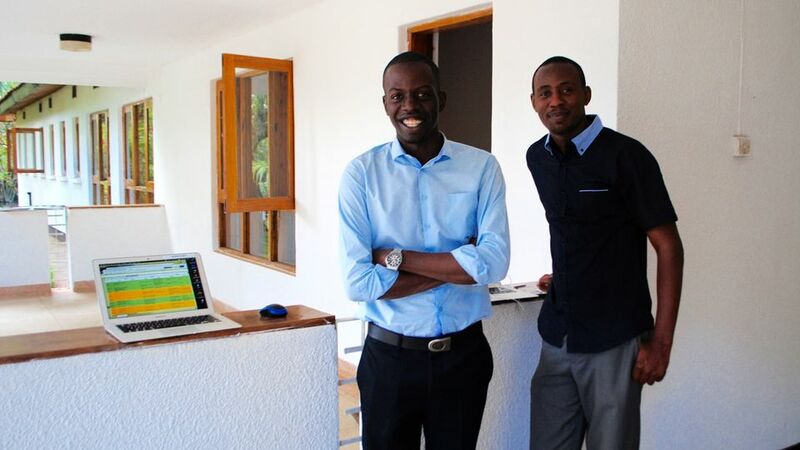 Joshua Kabugo and Baraka Megiroo outside the SunFunder office in Tanzania. The growth of businesses wanting to supply solar power is often constrained by restricted ‘working capital’ – the cash for stock and operating needs – because banks lack specialised knowledge of the solar sector, and are cautious about loaning. 50,000 tonnes of CO2 cut. $8 million of finance provided to solar businesses. 71 loans made to 23 businesses. SunFunder bridges the funding gap between investors with money and solar companies that need loans. The off-grid solar sector really needs this innovative finance. What many beyond-the-grid solar companies need is a reliable and continuous source of debt financing that they can easily access. Based in Tanzania, SunFunder is unlocking capital for this sort of finance by providing investors the opportunity to lend to a carefully selected portfolio of solar businesses. 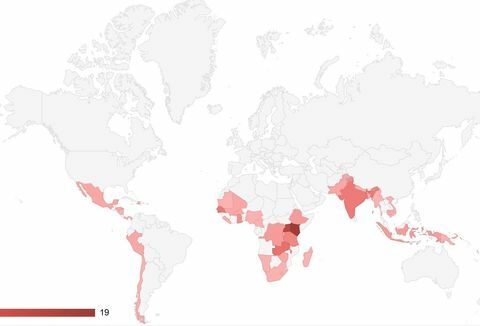 It has so far provided over $8 million of finance to solar businesses in eight African countries and India, helping them to offer solar electricity to thousands of people. If it wasn’t for SunFunder we’d still be ordering stock in small volumes and paying a premium for transport and customs clearance. SunFunder has enabled us to move larger volumes, and pass on the savings to our customers. By the end of April 2016, SunFunder had raised US$30m from 53 individual and institutional investors through seven solar note vehicles. Investors receive quarterly interest payments, and their initial investment is repaid at the end of the term of the note. The investment has been used to make 71 loans totalling US$8.6m to 23 solar businesses, mainly in East Africa. Loan periods average about one year, and a repayment rate greater than 99% has been achieved. 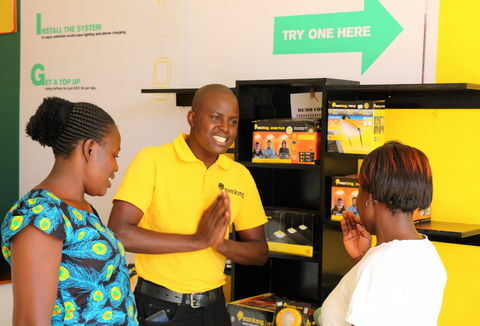 The loans have helped businesses to improve the lives of over 300,000 beyond-the-grid households, through providing solar lamps, individual household systems and solar micro-grid connections. These households now have clean, brighter light to make everyday activities easier. These households now have clean, brighter light to make everyday activities easier. They save on the cost of kerosene for lighting and, with some products, on the cost of phone-charging too. 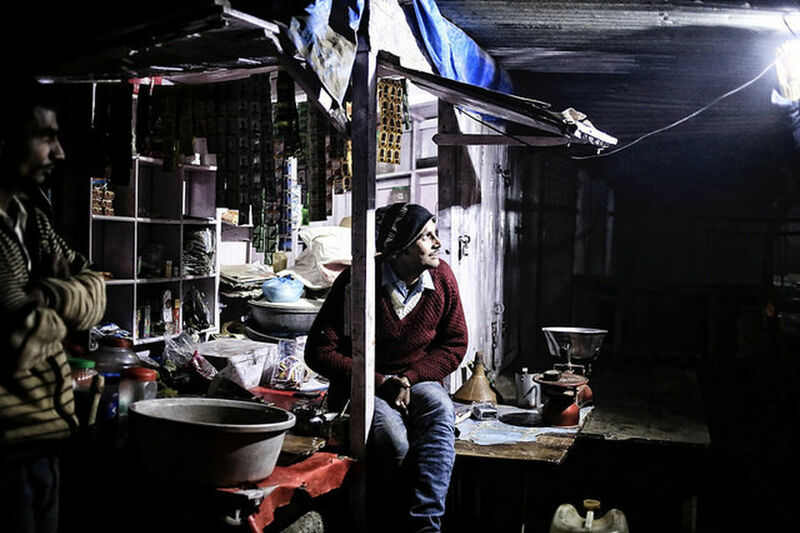 Eliminating kerosene lighting reduces the risks of fires and health damage from indoor pollution, and cuts greenhouse gas emissions by around 50,000 tonnes/year of CO2. 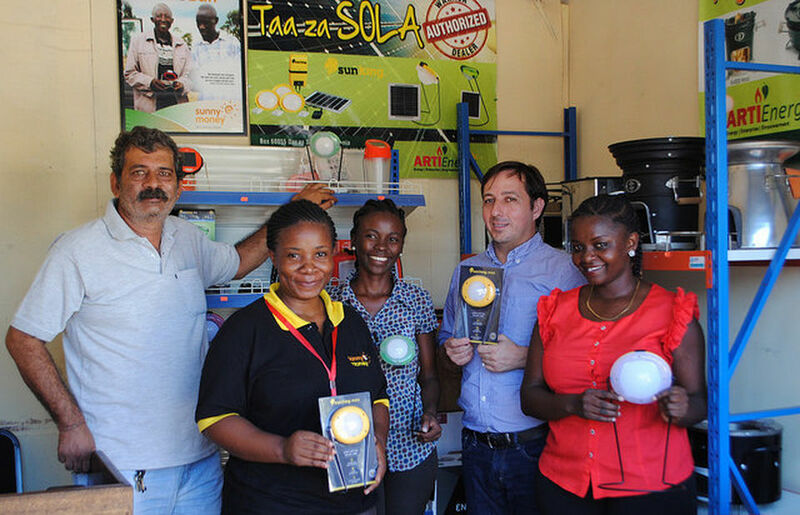 SunFunder has developed an investment process that enables these investors to make loans to solar businesses. It has achieved this by building up highly specialised expertise: this includes servicing only the solar sector, tailoring debt financing to meet the specific needs of this sector, and focusing on specific geographical regions. SunFunder’s lending staff are located in East Africa and most come from the region. They vet individual solar businesses closely, and develop understanding of the broader business context. Loans are individually tailored to meet the needs of a specific business model and to minimise the risk of default. Investors do not lend to individual businesses but instead invest in ‘solar note’ investment vehicles, each of which lends to a number of businesses. Thus, the risk to investors is spread. SunFunder networks widely to find potential loan customers, and lends to solar businesses of all sizes. SunFunder networks widely to find potential loan customers, and lends to solar businesses of all sizes. Due diligence on a business assesses not just its financial and organisational health, but also the quality of its solar technology and the social and environmental benefits it provides. Loans can be from US$50,000 up to US$1m or more. Often SunFunder will start with a small loan for a few months to ship one consignment of products and build up to larger, longer-term loans as the business gets a track record of successful repayments. Some businesses are now on their ninth loan. As well as requiring interest and capital repayments at specified times, SunFunder tracks the progress of customers through regular financial reporting. 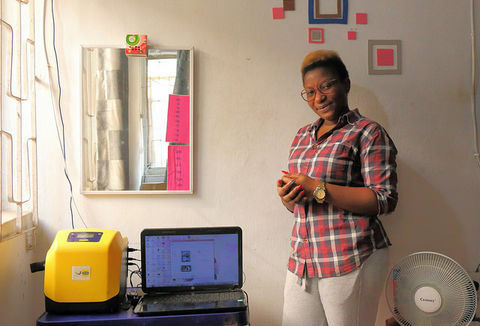 ARTI Tanzania (Appropriate Rural Technology Institute) - A SunFunder investee, headquartered in Dar es Salaam. SunFunder does not refuse loan requests outright, but instead provides guidance on what steps a business needs to take in order to be considered. This makes commercial sense in providing a pipeline of potential SunFunder customers, and also helps grow and diversify the solar sector as a whole. SunFunder’s head office team, based in San Francisco, is responsible for raising investment. SunFunder started with crowdfunding but moved to raising capital from accredited individual and institutional investors in order to increase the amount available and the time frame for repayment. In 2013 SunFunder raised the first solar note series of US$0.25m (with capital repayment after 18 months) and recently closed its sixth series of US$7m (36 months). It is now raising its seventh and largest solar note investment vehicle, the US$50m ‘Beyond the Grid Solar Fund’ (59 months). SunFunder has been a fantastic partner throughout this process. With this financing in place, the board and management believe our business is now well placed to accelerate our growth in Uganda and beyond. Each series spreads the risk to investors by a diversification rule for countries and customers: it is required that no more than 40% of the series value can be loaned in any single country, and no more than 20% of the series value can be loaned to any individual customer. Recent series have offered tiers of interest rate (from 1% to 9%) with the higher rates for investors willing to accept higher risk. Investors receive quarterly interest payments and performance reports.